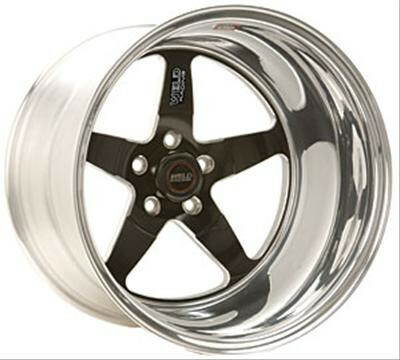 "Felge, 17x8,5″ Weld Racing RT-S S71 Forged Aluminium Black Anolized"
Wheel Width (in): 8.500 in. Center Bore Diameter (in): 3.180 in. Load Rating (lbs): 1,580 lbs. Notes: 2.05 in. from the peak of the spoke curvature for brake clearance. Will not accept 5/8 in. drive studs. Wheel Bolt Pattern: 5 x 4 1/2 in. These Weld Racing RT-S forged aluminum black wheels feature 3-piece forgings that are assembled by welding, for application flexibility. They are manufactured using primary forging-grade aluminum alloys to create maximum strength and durability. Weld Racing RT-S forged aluminum black wheels are available in 15 in. to 18 in. diameters and are tested with F.E.A. and in-house destructive testing to ensure safety. Vergaserdüsen, Holley, Nummer 73, Lochgröße .077 in.